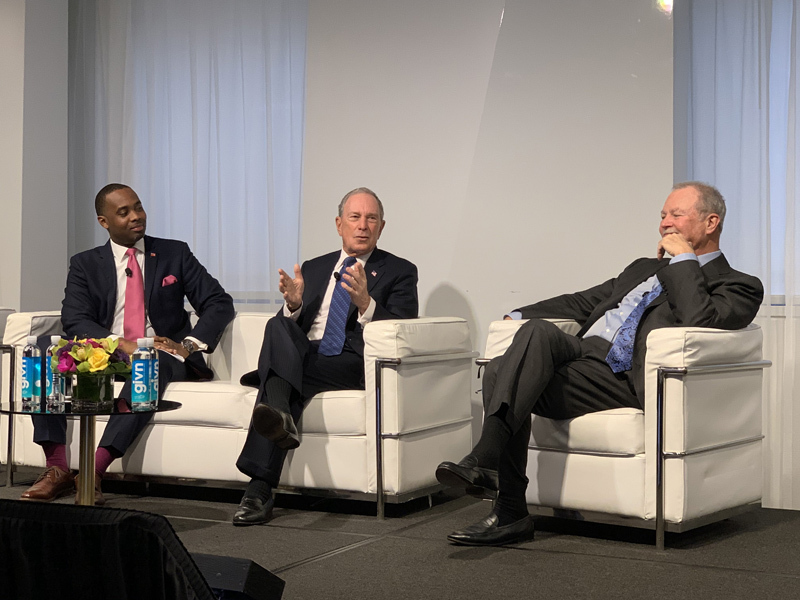 Michael Bloomberg and Brian Duperreault highlighted Bermuda’s value to global business and the United States, delivering a dynamic launch yesterday to a full-capacity Bermuda Executive Forum in New York. 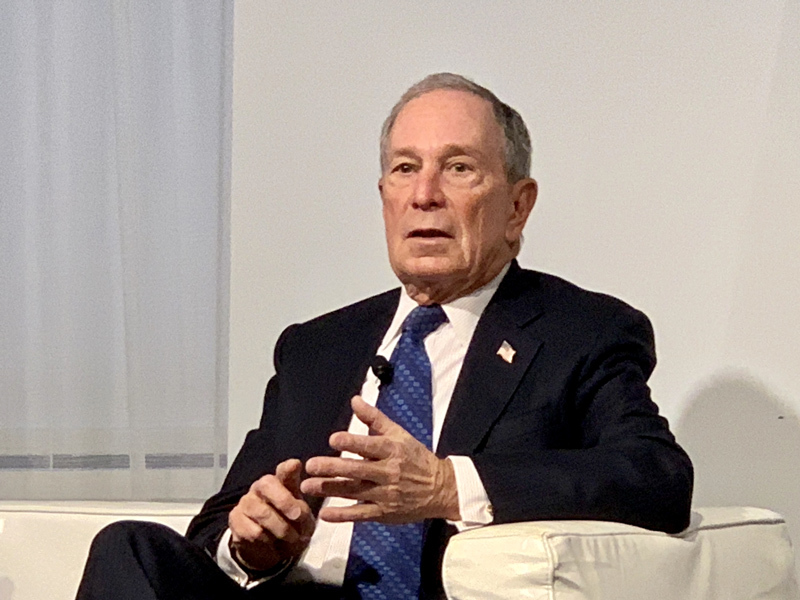 “Culture attracts capital faster than capital attracts culture,” noted Mr Bloomberg, a former three-term mayor of New York City, part-time Bermuda resident, and founder of Bloomberg LP and Bloomberg Philanthropies. 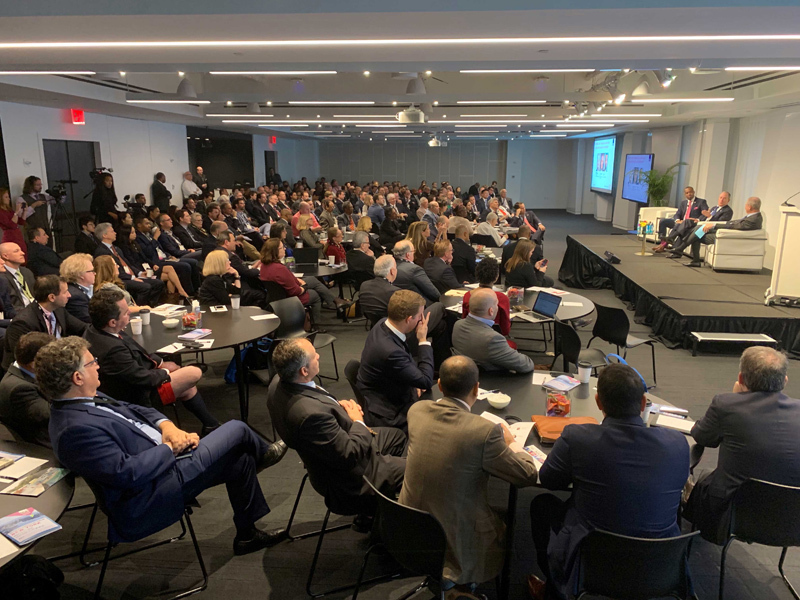 The session was a highlight of a day packed with informative panels showcasing the Bermuda market’s expertise across myriad industry sectors and attracting a 350-strong audience of executives and investors to the midtown venue off Times Square. More than 40 speakers from the island, comprising government, industry and regulatory leaders, outlined global trends and the unique combination of factors that set Bermuda apart as a jurisdiction of choice for global business. The forum was the fifth in a successful series hosted in different cities by the Bermuda Business Development Agency [BDA]. “I think we have a great story to tell and getting out in a forum like this, and getting someone like Mike Bloomberg, whom everybody holds in the highest esteem, and having him talk about how great it is to be in Bermuda, how he feels about Bermuda compared to other places—I think that’s valuable,” noted Mr Duperreault, the Bermudian market veteran who is currently President and CEO of American International Group [AIG]. “New York is the most important city worldwide when it comes to capital markets, and it’s a city we have numerous links to. 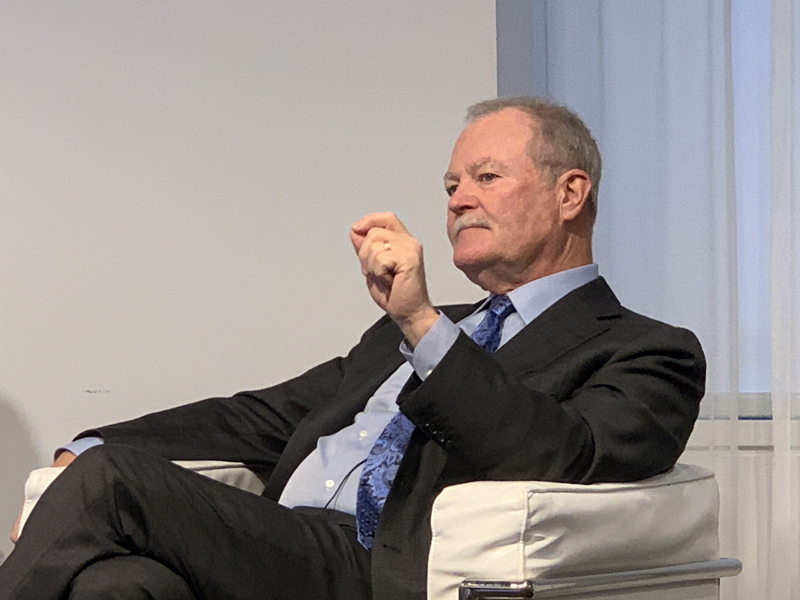 That’s why we’re speaking to potential customers and describing why Bermuda is a jurisdiction that can help them return value to their shareholders,” said Premier David Burt, who was joined by Finance Minister Curtis Dickinson at the event. “It’s been an impressive day,” said the BDA’s CEO Andy Burrows. 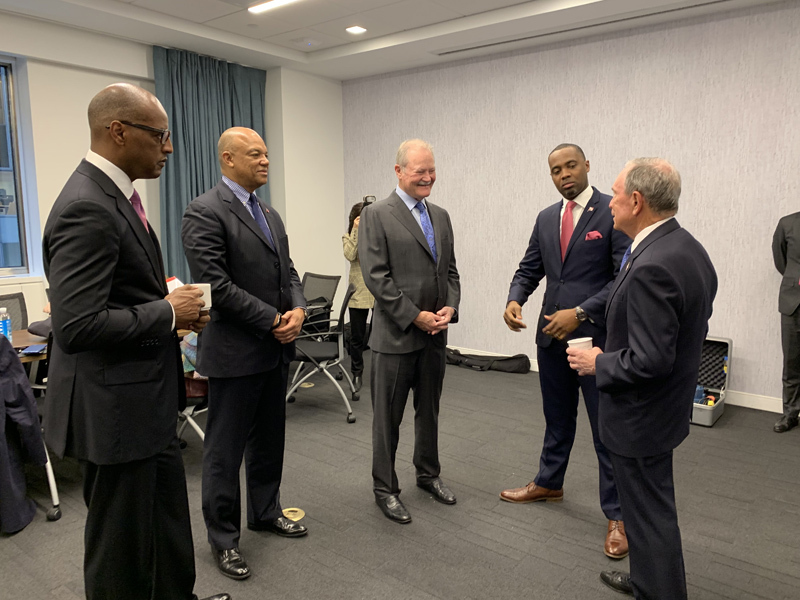 “The Premier’s fireside chat with Mr. Bloomberg and Duperreault highlighted the importance of the US–Bermuda relationship. 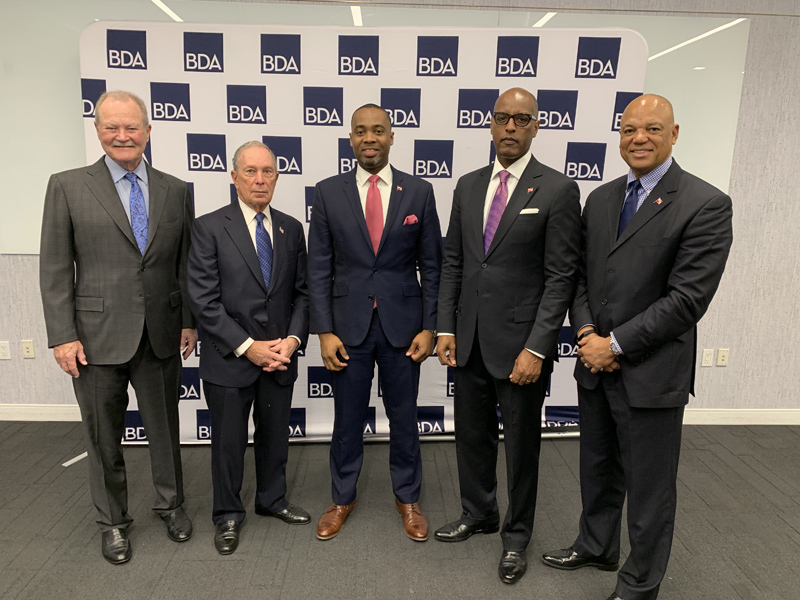 “The bilateral relationship between New York and Bermuda is among the most important in the world,” agreed BDA Deputy Chair Steve Weinstein. What did everyone think of us being on the BLACKLIST? Credit where credit is due, David Burt does a fine job representing Bermuda to the rest of the world. What they all failed to mention was how the Dept. If Immigration makes it increasingly difficult to do business in Bermuda. I was actually referring to his interview with Yahoo. I’d bet he’d feel uncomfortable around guys like Bloomberg being his party loves to beat up on rich guys. LOL, you live in a bubble. Check out the body language in pic #6 of Burt and his FinMin. I’d say that they’re both uncomfortable as hell to be there . That’s because they are out of their depth, and the attendees can smell their bs a mile away.